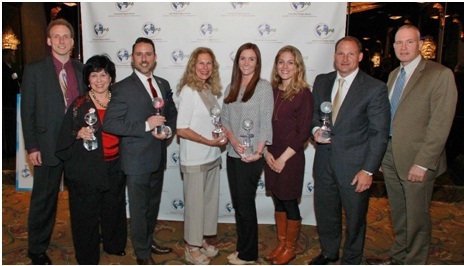 May 4, 2016 – Bohemia, NY – Six nonprofit winners of the 4th Annual Long Island Imagine Awards were announced LIVE at the gala awards reception on Tuesday, May 3, 2016, 6-9:30pm at the Crest Hollow Country Club, Woodbury, NY. This gala event was created to offer formal acknowledgement to some of Long Island’s most effective and innovative nonprofit organizations. Over 137 nonprofits submitted applications to win a $5,000 grant in five categories: Innovation, Leadership Excellence, Rising Star, Social Entrepreneurism and Social Impact. Of this pool of worthy applicants, 20 were selected as finalists and one in each category was awarded the grant, and a sixth organization was provided a Fan Favorite award through an internet vote. Certilman Balin Adler & Hyman LLP Leadership Award – Lillian Julien, COPE Foundation, Inc. The Long Island Imagine Awards recognizes the following major sponsors: Cerini & Associates, LLP, Certilman Balin Adler & Hyman, LLP, Empire National Bank, Paychex and the Business Exchange. 2016 Long Island Imagine Award winners. Top row (L-R) Ken Cerini, Cerini & Associates, Joani Madarash, SBPLI, Robert Vitelli, LIGALY, Lillian Julien, COPE Foundation, Megan Kelly & Olivia Civardi, Best Buddies New York, Mark Cox, Big Brothers Big Sisters of Long Island, Jeffrey Reynolds, Family and Children’s Association. Cerini & Associates, LLP is a full service accounting firm with a staff over 40 full and part-time employees, four partners, and a foundation built on value-added ideas and integrity. C&A serves many industries, including healthcare, nonprofit, special education, school districts, technology, contractors, and an array of mid-sized businesses (including retailers, manufacturers, distributors, et al). C&A’s services include, but are not limited to: accounting and auditing; tax compliance and business advisory; tax controversy defense and support; litigation support; mergers and acquisitions; internal audit; and operational and internal control reviews.